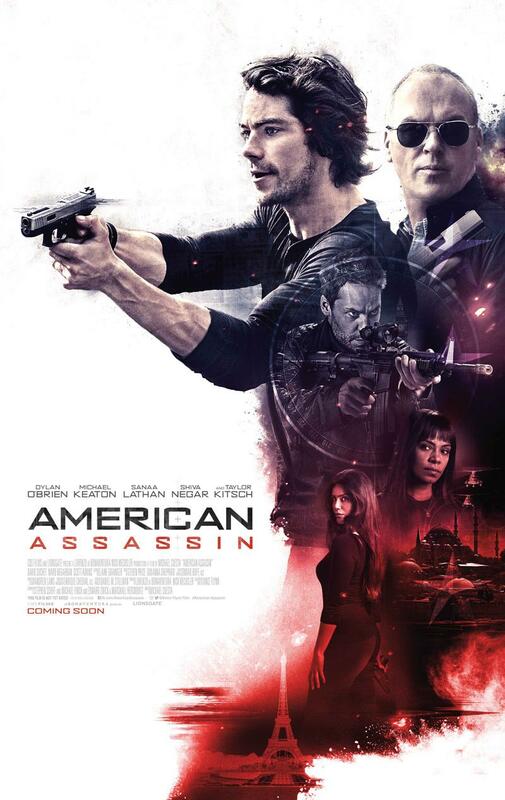 Best-in-class counterterrorism agent Mitch Rapp (Dylan O’Brien) reports for duty in the gripping first red band trailer for American Assassin, Michael Cuesta’s (Kill the Messenger) sweeping franchise-starter that takes the espionage elements of Homeland and sprinkles a little of 24‘s signature action over the top for good measure. The end result is a breathless teaser for CBS and Lionsgate’s American Assassin, which sees O’Brien’s hardened protagonist embark on a quest for a revenge after his significant other is murdered in cold blood while holidaying on some picturesque beach resort. It’s a terrorist act ripped straight from the headlines, and we’re intrigued to see how audiences react to Michael Cuesta’s unflinching adaptation in light of recent events. Casting-wise, Spider-Man: Homecoming star Michael Keaton is attached to the role of CIA agent Stan Hurley, a Cold War veteran stubborn in his commitment to pushing potential recruits to their absolute limit. It’s a supporting role that was once earmarked for Bruce Willis, but based on today’s red band sizzle reel, we’re quietly confident that Keaton is the best man for the gig. Sanaa Lathan, Shiva Negar and Taylor Kitsch also star, with the latter on board as a highly-trained operative (Ghost) gone rogue. “This whole thing is just a means to an end for you, isn’t it?” Keaton’s Stan Hurley grumbles, to which Dylan O’Brien’s sharpshooter replies with, “no, this is just the beginning.” That could well be the case, given Vince Flynn’s novel series spans a total of 16 installments – three of which have been penned by Kyle Mills following the author’s death in 2013 – so there’s certainly a metric ton of potential for American Assassin to become a full-blown action franchise. We’ll find out if that’s the case when CBS and Lionsgate’s high-octane thriller debuts on September 15th.